Another crash...Boeing 737-800 MAX technical compromised? Today crashed a brand new Boeing 737 MAX from Ethiopian Airlines. After take off it lost dramatical on altitude and crashed. The entire scenario is almost identical to the LionAir crash 4 months ago, where another brand new 737-800 MAX crashed. It will be interesting to see how security is handeled now. I think there is a real danger that the 737-800 mMAX gets grounded. The design of the aircraft if flawed. The main problem is, that the basic hull design is from the early 60th, when the 737 was designed. The new engines are much bigger than engines were in the 60th. The old hull design leaves not enough space for the new advanced fuel saving full mantle engines under the wings. Boeing solved this problem with new engine pylons, which move the engines further forward. This solvs the space problem but creates many new problems. The entire weight distribution is changed. The aircraft gets top heavy and reacts very stocky towards flight movements. Boeing installed a new and advanced MCAS system to solve that problem. Which means, the computer stabilized the aircraft in flight. The Lion Air crash happened because MCAS failed and produced so many error messegaes, that the pilots got overwhelmed. It looks like the same happened here. If this is right, it will be interesting to see what happenes now. 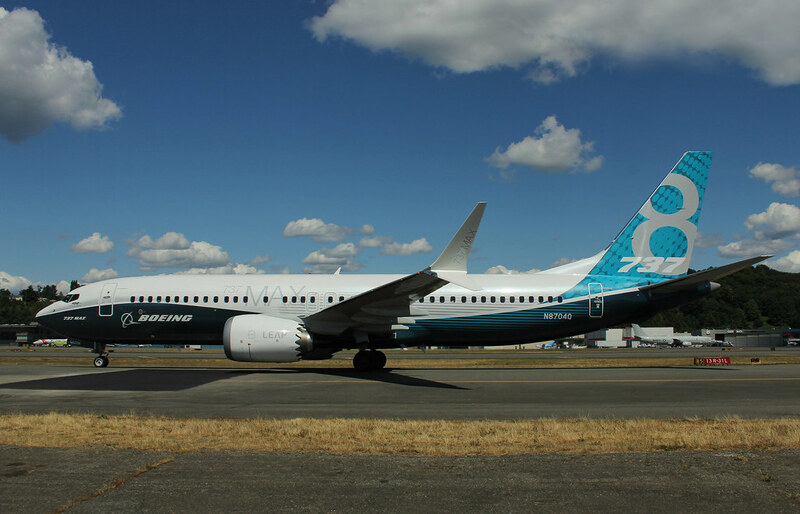 The 737-800 MAX is Boeings best selling aircraft with 5.500 orders. 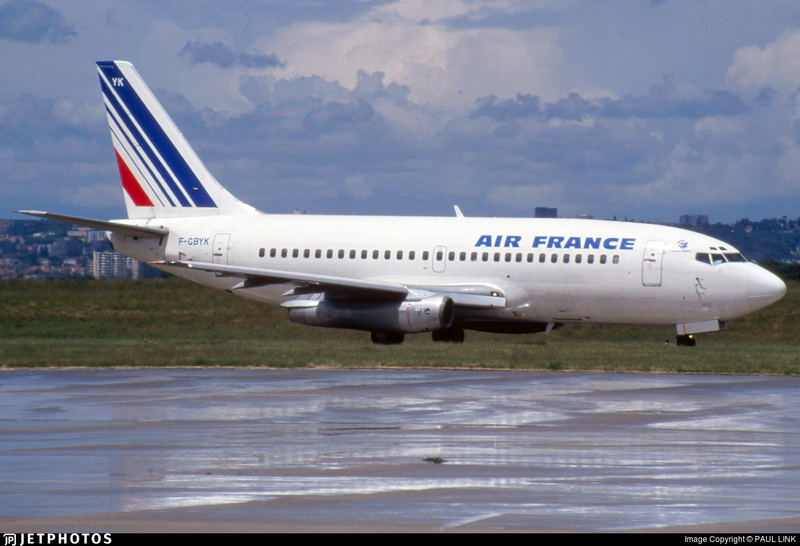 Air France has none and also no intention to buy. Re: Another crash...Boeing 737-800 MAX technical compromised? Bit more on this. Great design feature it seems, counter intuitive and counter other 737s. Brilliant stuff for pilots flying 737s all days of the week, in an emergency having to think which version he took off in that day. By placing the nacelle further forward of the wing, it could be placed higher. Combined with a higher nose landing gear, which raises the nacelle further, the same ground clearance could be achieved for the nacelle as for the 737NG. The drawback of a larger nacelle, placed further forward, is it destabilizes the aircraft in pitch. All objects on an aircraft placed ahead of the Center of Gravity (the line in Figure 2, around which the aircraft moves in pitch) will contribute to destabilize the aircraft in pitch. The 737 is a classical flight control aircraft. It relies on a naturally stable base aircraft for its flight control design, augmented in selected areas. Once such area is the artificial yaw damping, present on virtually all larger aircraft (to stop passengers getting sick from the aircraft’s natural tendency to Dutch Roll = Wagging its tail). Until the MAX, there was no need for artificial aids in pitch. Once the aircraft entered a stall, there were several actions described last week which assisted the pilot to exit the stall. But not in normal flight. The larger nacelles, called for by the higher bypass LEAP-1B engines, changed this. When flying at normal angles of attack (3° at cruise and say 5° in a turn) the destabilizing effect of the larger engines are not felt. The nacelles are designed to not generate lift in normal flight. It would generate unnecessary drag as the aspect ratio of an engine nacelle is lousy. The aircraft designer focuses the lift to the high aspect ratio wings. So entire EU, Australia, China plus various other countries banned the 737 Max. This can prrove fatal for Boeing. Lion Air plans to cancel 120 orders and switch to Airbus. Aristide wrote: So entire EU, Australia, China plus various other countries banned the 737 Max. This can prrove fatal for Boeing. Lion Air plans to cancel 120 orders and switch to Airbus. Not sure of your use of the word "fatal" as this will definitely not be death for Boeing. They will suffer short term problems but they will sort this issue and it will become a blip in their history. Note that whilst some US airlines have apparently 'parked' their 737Max (maybe by soft instructions from on high) the FAA has not grounded them. If they did there would be turmoil for Boeing which the US Government would not allow. With a backlog of orders stretching out years any that are cancelled will be gratefully accepted by others. I don't know what delivery dates are on the Lion orders but they will probably have a problem getting Airbus to match them. It is fatal. The 737 Max is 2/3 of their orders. Boeings problem is a systematic one. The 737 Max has a flawed design and now a horrible renomee, passengers actibely avoid to fly with her. Thats poison for airlines, last time an aircraft had such low renomee was the DC10. FAA now grounded all 737 Max. JohninMK wrote: FAA now grounded all 737 Max. Not just that. Today it was announced the flight recorder show the pattern is same as the LionAir crash from octobre. Boeing faces a massive problem with that. The 737-8Max is a flawed aircraft and its doubtful the problems can be solved at all.